Dian Purwanti, from Indonesia, was most impressed with the clean tap water. For Cyrille Zongo, from Burkina Faso in West Africa, it was the clean streets. Rawan Badarna, from Palestine, was amazed by the technology and diversity. These bright, motivated individuals were among the 37 Fulbright Scholars who arrived on July 14 for a four-week English for Graduate Studies program administered through University College’s English Language Institute (ELI). This is the first year of a renewed five-year contract between ELI and the Institute of International Education, which manages Fulbright for the U.S. Department of State Bureau of Education and Cultural Affairs (ECA). Participants are professionals who will remain in the U.S. to pursue graduate work following their Syracuse University sojourn. The ELI offers academic English, designed for students who are conditionally admitted to Syracuse University, students who wish to study at another university in the United States and professionals who would like to improve their English to better succeed in their careers. While on campus, the students study a wide range of topics, including academic integrity, the U.S. political system, copyright laws and building a respectful environment. Interaction with their peers provides a glimpse into different cultures and faith traditions throughout the world. The students took note of the teaching style they found in the U.S. “I was forced to share my opinion, discuss topics with my peers and work in a group,” says Purwanti. “It made me grateful to be in this program and prepared me for my graduate studies.” Purwanti will be staying on at Syracuse University to earn a master’s degree in teaching and curriculum in the School of Education. 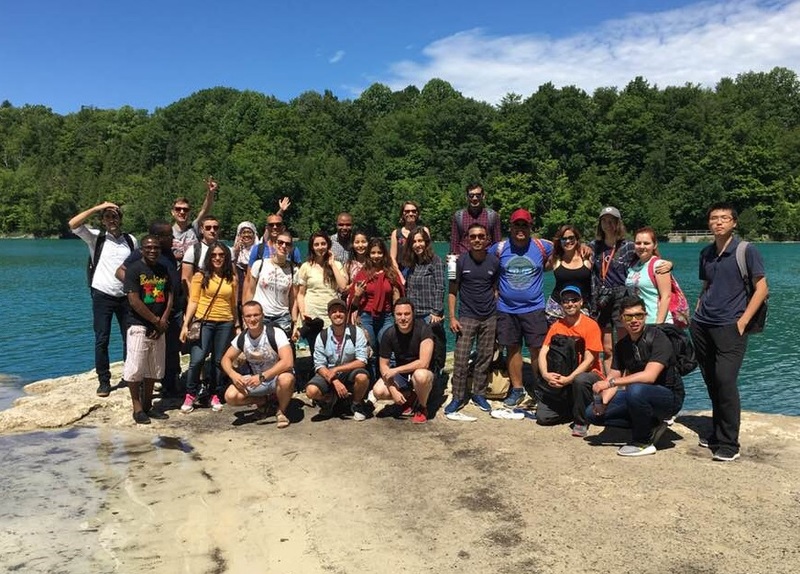 When not in class or studying, the Fulbright students explored the rich history of Upstate New York. They participated in a guided tour of historic downtown Syracuse and visited Alexandria Bay. Zongo was struck by the beauty of Syracuse and the important role the city played in the history of the United States, particularly in the Underground Railroad. “The city has been able to keep symbols of important moments of Syracuse’s life. This is incredible,” he says. The students admit that it was difficult to be away from family, but Bardarna feels much better prepared now to move on to Loyola University in New Orleans to obtain an MBA. She found the English Language Institute program to be comprehensive and holistic, blending instruction, socialization and engagement opportunities with American society.